A traumatic brain injury changes lives—not only of the victim, but of their loved ones as well. For anyone who has been touched by a brain injury, there is good news concerning brain injury research. Recent breakthroughs mean more advanced treatment alternatives and helpful information that can assist those who have been affected by a traumatic brain injury. At TryMunity, we want to point you to promising finds that provide insight and may lead to recovery. The implications of stem cell research are staggering in many health fields, including brain injury research. 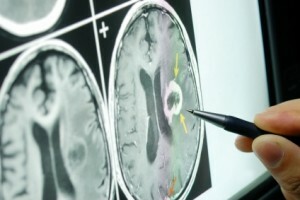 One of the latest techniques involves administering fetal stem cells to brain injury patients by injecting them under the skin in the affected area or through intravenous methods. Stem cells are recognized for their ability to repair damaged cells and promote the production of more healthy cells. Patients who have been treated by this alternative have noticed positive results in as little as three months to half a year later, improving their recovery rate remarkably. …this technique could be standard in treating individuals with brain injuries. According to the University of Washington, doctors have discovered that cooling a head injury victim immediately after the incident could have a great impact on the extent of damage and prognosis. In a study involving rats and headsets that safely reduced heat in the brain by two degrees Celsius were used on subjects with head injuries. Throughout the course of the study, epileptic seizures didn’t develop in the rats that benefited from the cooling treatment. In addition to applying this treatment to soldiers with head injuries on the battlefront, this technique could be standard in treating individuals with brain injuries. The Institute of Neurological Recovery has published promising results of a study that suggests the administration of Etanercept through perispinal methods could promote recovery from traumatic brain injury effects even years later. While it has always been understood that time is of the essence in treating victims of a brain injury, this study is especially exciting for the implications on those who were injured years before the latest developments in brain research. It suggests that it may never be too late to reverse the effects of an injury involving the brain. IBM is getting involved in the area of brain injury as well. In cooperation with the UCLA Department of Neurosurgery, the technological giant is using their big data software to assist in predicting an increase in brain pressure in patients with injuries involving the brain. Doctors may be forewarned sooner about a pressure build-up, resulting in life-saving care that is administered more quickly with better results. These breakthroughs only skim the surface with many amazing finds hitting the news on a regular basis. Remember your friends at TryMunity are here as an online support community to assist you in getting the information you need concerning brain injuries. Sign up today to share your story or to read others’. Remember, you never fail until you stop TRYing.